A while back, we wrote a post on the Top 18 Landscape Film Locations in the American West. It quickly became one of the most viewed entries in our blog. In response to that, we are following-up with a spotlight on the American South. With its deeply-rooted history and culture, along with all the different mesmerizing landscapes, the American South touches many of us on a soulful level. We all remember the shadowy, labyrinthine swamps in Mississippi Burning, Down By Law and Adaptation; the small quaint towns in Fried Green Tomatoes, Forrest Gump, and Driving Miss Daisy where family life and values are treasured above all; the pastel-colored seaside neighborhood in The Truman Show that’s too perfect to be real (yet it is - see above picture of Seaside, Florida, where the movie was filmed). Once glimpsed in the movies, the South is hard to let go from our memory. For me, after watching Midnight in the Garden of Good and Evil sometime in the late 1990’s, I couldn’t wait to visit mysterious Savannah. When I had a chance to be there a few years later, I went on a self-guided walking tour through the city and all the locations mentioned in the movie. A touristy thing to do, yes. But it was also an unforgettable experience to be walking in the same park that John Cusack’s Berendt did. 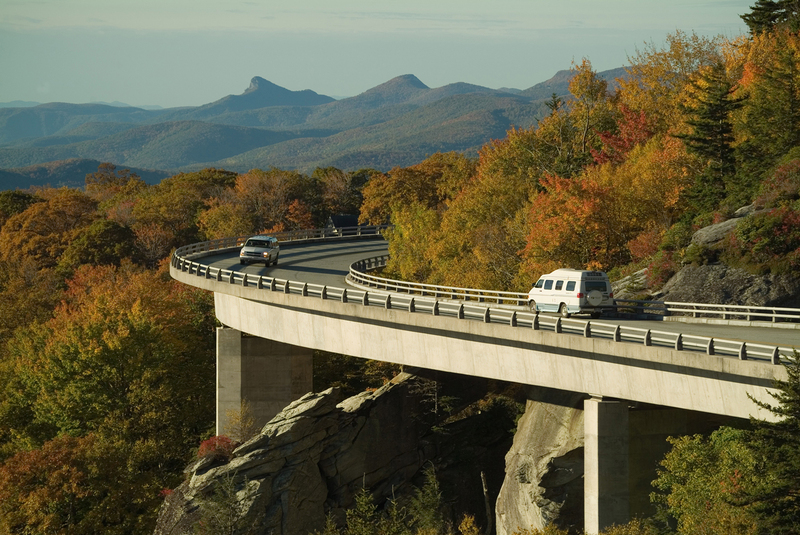 Image of Blue Ridge Parkway via Google. 6. Ross Barnett Reservoir, Mississippi: Mississippi Burning, O Brother, Where Art Thou? Image of Hunting Island, South Carolina via Google. Image of Everglades, Florida via Google. And before we forget to brag, 10 of the 11 locations mentioned belong to our clients: Georgia, North Carolina, South Carolina, Florida, and Mississippi. Banner image of Chimney Rock Park via Google. * The publication of this book was in 2007, so the list has probably grown to include a few more locations today. If you know of any additions, we’d love to hear about them.